Even though summer seems a long way off, when planning a trip to a popular destination domestic or abroad it is essential to secure lodging as soon as reasonably possible to ensure availability and avoid paying astronomical prices or staying in an area that is inconvenient or unsuitable for the occasion. While booking our accommodations for the UK, we saw this firsthand — especially in London which is one of the most popular tourist destinations in the world. 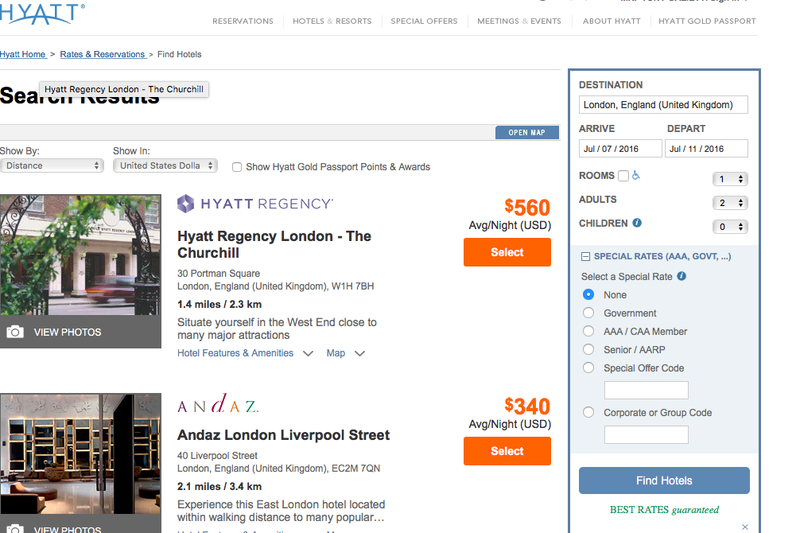 We were hoping to book one of the two Hyatt properties in London using Hyatt Gold Passport points at the Hyatt Regency Churchill or the Andaz Liverpool Street for four nights in early July. Currently these properties are going for $560 and $340 per night respectively for there standard room, and neither property has award availability for all four nights of our booking (and we were trying to book 8.5 months out!). After a call to Hyatt Gold Passport I was able to secure three nights at the Andaz Liverpool Street using the points + cash option bringing the cost down to $150 plus 12,500 points per night. We ended up booking the Holiday Inn London City for our first night in London since it was the only really good option under $200 per night that is close enough to both the Heathrow Express and the Andaz for an easy transfer after check out. This will allow us to stay in London over a busy July weekend at a very reasonable rate and then make our way north. 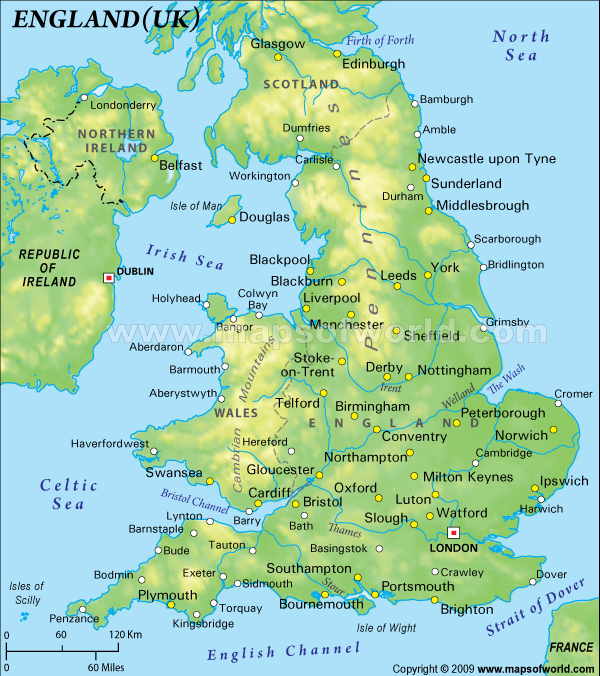 When we booked the UK we immediately knew that we wanted to visit both London and Edinburgh, but that still left us enough time in our trip to choose a smaller, seaside location in between the two large cities. After a bit of research we settled on the small seaside town of Whitby in the North Yorkshire region of England. As the case with many smaller towns, there are not really a lot of traditional hotel options in this region, and as a result we opted to rent a private home via Airbnb for our two night stay that allows us to be in a great location that is walkable to all the goings on in town. We are looking forward to staying in a house with local neighbors and being able to walk around town at a slower pace while having a full kitchen and enough space for us to spread out and relax in separate rooms for a few days (makes such a difference for Matteo!). Airbnb is a great alternative to a hotel for those looking to experience life more like a local than a tourist. After booking our house in Whitby we decided to look for another rental property in Edinburgh for four nights which will allow us to stay in a prime location along the Royal Mile. We found a lovely 2 bedroom apartment with a full kitchen located in a historic building that is a 1 minute walk from Edinburgh Castle. The price for both airbnb properties was competitive with hotels in the area and we could have easily spent a bit more money or a bit less for other area properties; we were able to find rentals that fit our needs in terms of location, space, and amenities. For our return back to Europe and Abu Dhabi we booked 3 nights in Amsterdam since it is served directly from Detroit and Dubai. When we looked at Amsterdam we originally were hoping to stay at the Andaz Amsterdam which is a Hyatt property that we were hoping to book on points. Unfortunately they were out of space for award travel and the paid rates were $350 per night so we decided to turn to Airbnb one more time. We were able to find a fantastic city center apartment with two bedrooms in a quiet neighborhood that was under $150 per night in mid August. Sweetening the deal, we were able to take advantage of an American Express offer with Airbnb that gives us a $50 statement credit for booking an Airbnb during November. Now we can sit back, relax, and get excited about spending 10 days exploring the UK next July and a three day stopover in Amsterdam in August as we make the trek back to the UAE.